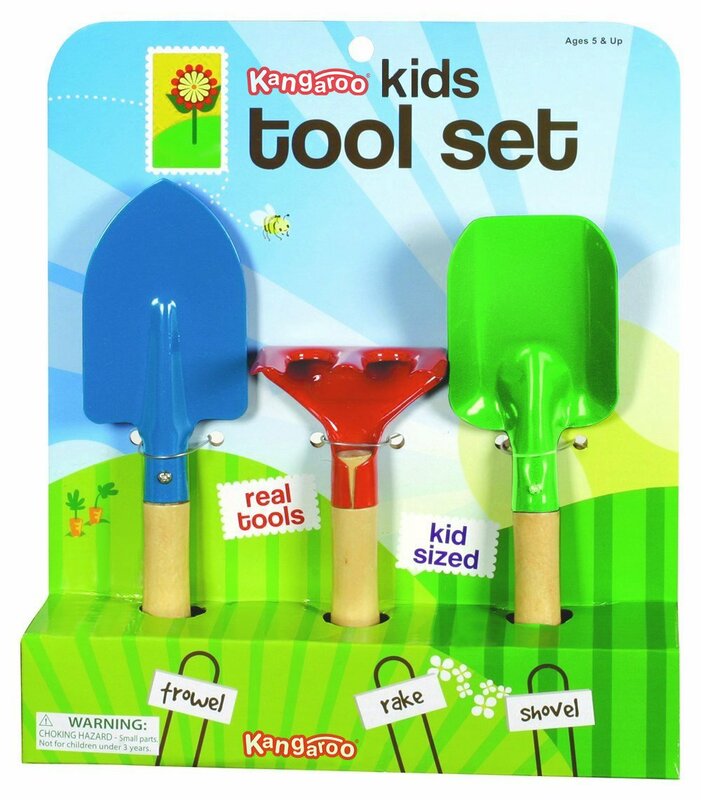 Gardening Tools For Kids Measure 8.5"
Kangaroo Kids' Garden Tool Set is Sure to Please. Although Our Garden ToolsAre For Kids, They Are Not a Toy. Garden Tools For Kids Are Working Tools AndKids Can Garden Beside Mom & Dad Outside. Handles Are Made of Wood But TheseAre Metal Garden Tools as Opposed to Plastic Toys! Our Gardening Tools ForChildren Are Some Of The Finest On The Market. Our Toys Garden Tools Are MadeFrom Durable Construction Methods to Be Used For Real Outdoor Play or Work!Garden Tools For Kids and Garden Tools For Children Are Normally Made To BeToys Only. These Are Real Tools and a Great Addition to Worlds Most FamousManufacturer of Pool Toys, Beach Toys and Summer Toys. These Garden Tools MakeGreat Stocking Stuffers For Kids. Kids Stocking Stuffers Are Great Surprises.Also Great Birthday Party Favors!